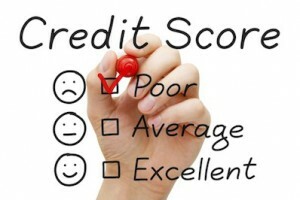 How do I get a bad credit business loan? Bank financing has become far less common than it was previously for businesses. Why? Despite improvements in the economy, banks are still reluctant to lend money to borrowers, particularly to those with poor or no credit. And, there are more options than ever for getting bad credit loans that don’t rely as much on your credit rating. More than 50% of all business owners get some bad credit loan financing help from friends or relatives. More than likely, these people want to see you succeed in your venture, and a few might be willing to help finance it. Not only is this type of funding typically more readily available, usually the interest rates are far more favorable, too! One of the newest options is nonbank lenders such as Kabbage that offer fast, flexible funding for online businesses. Unlike banks that base what they will lend almost exclusively on your credit rating, these lenders look at multiple types of data including social media engagement and online ratings. Oftentimes, these types of funding are particularly beneficial for getting cash quickly to purchase inventory or hire seasonal help. Credit cards are typically much easier to obtain than bank loans. So they are a viable alternative to getting a loan with bad credit. That being said, they also typically come with high interest rates. So, business owners are wise to use a small business credit card carefully when it comes to funding a business. There are both government and private grant programs available to businesses. Of course, there is fierce competition for this type of funding, but it’s worth a shot. Many of these programs are focused on particular industries, geographic areas, or certain types of business owners, such as women and minorities. There are other types of freebies that might be worth exploring, as well, such as free office space, business plan assistance, and more that can help reduce the cost of starting a business. This type of lending is growing in popularity thanks in large part to the current difficulties in getting a loan with bad credit. Merchant cash advances provide businesses with funds in exchange for a share of future sales. This is particularly common in retail, restaurant, and service businesses that typically don’t qualify for bank loans. Interest rates can be very high with merchant cash advances, so they are usually thought of as a short-term solution. Can you qualify for a small business loan with bad credit? There is no one type of funding that is right for every business. Knowing where to get a small business loan with bad credit can seem impossible as there can be many factors at play. The key is to evaluate the bad credit loans that are available and choose wisely so that debt can be paid off quickly and inexpensively. Fortunately, there are solutions for businesses with bad credit and no credit, and the lack of being able to get a bank loan shouldn’t be a deterrent for an energized business owner who wants to make their entrepreneurial dreams come true. Of course, you can also consider getting up too $250,000 with a business loan from Kabbage.